Thoracic outlet syndrome (TOS) can be defined as a compression of the neurovascular bundle as it passes between the neck and axilla. Common compression points are between the anterior and middle scalene, between the first rib and clavicle, underneath the pectoralis minor, or potentially the presence of an extra cervical rib. 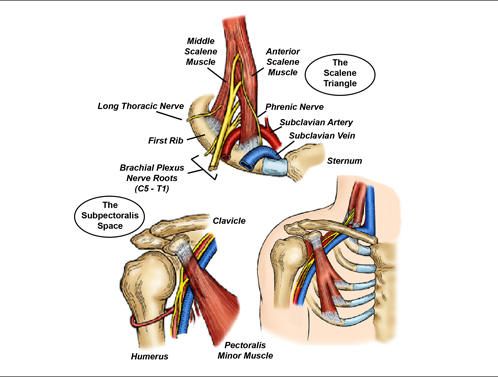 Patients with thoracic outlet syndrome typically present with forward, rounded shoulders and a history of repetitive overhead motion. If you are suspecting a patient with neurogenic TOS cluster your TOS tests results with other neuro-dynamic tests. Here is a great Video further discussing Thoracic Outlet Syndrome from Dr. Thompson at Washington University in St. Louis.